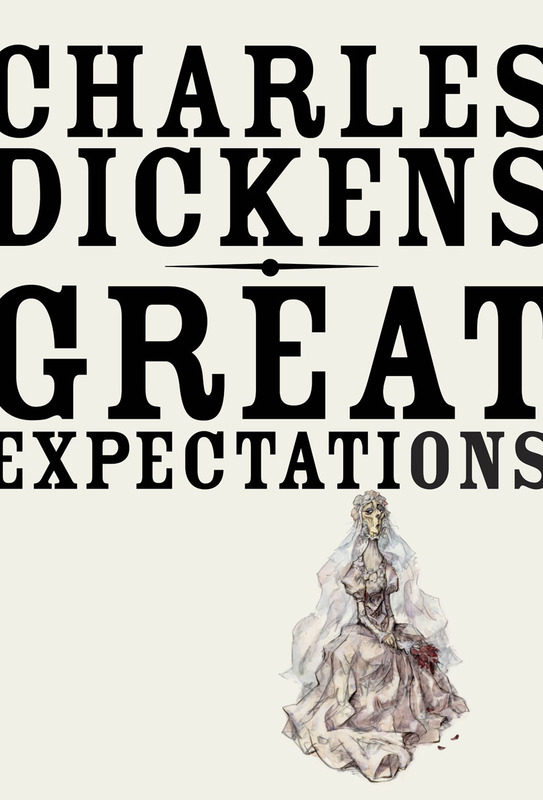 I read Charles Dickens' Great Expectations most recently, as part of the Classics Challenge. I'm ashamed to say that I have never read Charles Dickens before. 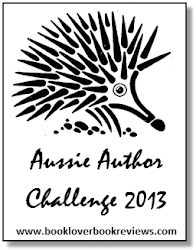 This month's prompt focuses on the cover of the book. 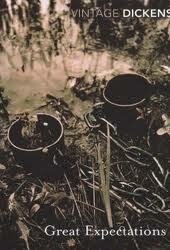 The edition that I bought and read had close-up of a pair of iron manacles laying in a swamp. It's a fitting cover, having now read the book. But when I first picked it up, it wasn't an appealing first impression. Originally, I couldn't find an image online of my cover, but this time I found it and I have also included a number of other covers from other editions (there has been so many). 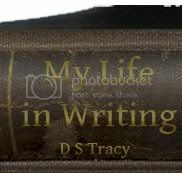 The above covers reflect many aspects of the book. My cover, with the manacles, are obviously the chains that Magwitch filed off in the swamp when Pip was a child. The second cover is of the crazy old Miss Havisham, in her wedding gown and dead flowers. The third is of Magwitch and Pip in the graveyard, where the story begins, with Miss Havisham, Estella and Howard in the background. The fourth is just a painted image of Pip himself. My favourite part of the story is Miss Havisham, so I really like the cover with just her on the front. Yay! Another Vintage cover. I love them. I have only one Dickens in this edition which I bought recently. They all seem quite bleak, I suppose to show the bleak worlds Dickens is writing about. Other Vintage covers can be very colourful but the publisher likes to theme those by the same author. 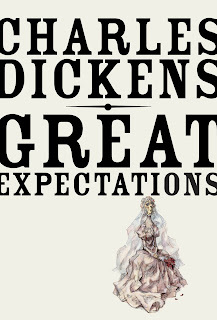 I've never read Dickens, but this is the book recommended to me for first timers. I like the atmospheric photo of the first cover, but the third one portrays the main characters. I would probably pick the last one off the shelf. I've bought my edition on Kindle and the cover has no image. I really like Vintage's covers, you can see they really try to choose something that suits the book. 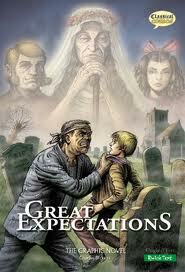 Although I can definitely see what you mean about Great Expectations' cover not being appealing. Dickens was one of those authors that I held off on for a while, only to discover and devour him all at once. 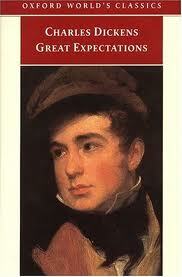 If you enjoy Great Expectations at all, you will probably LOVE the rest! You chose some really beautiful covers for the book -- I think my favorites are the first and third. 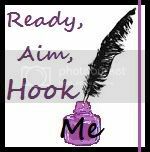 They highlight different aspects of the story: the first the bleakness, the third that it really is an intriguing adventure story of a young boy.